Kfirim has been hula hooping! Shalom Dear Parents and Loved Ones! Althought we just arrived yesterday to our tzrifim (bunks), it feels like it’s been ages! We’ve been super busy getting into the groove of camp, making new friends, and learning new things. First we played some icebreaker games which loosened up the atmosphere and helped us to get to know one another. Soon enough it was time for mifkad at the toren (flagpole). On a normal day we have mifkad twice, at morning when we sing the Star Spangled Banner and at night when we sing Hatikva, the Israeli national anthem. Since yesterday was the first day of camp, we just went straight to lunch where we were served the some of the most delicious pizza we have ever tasted in our LIVES. For those of us that are not super into pizza there were many other options including the salad bar, the pasta bar, gluten free and so on. Everyone left the chadar ochel (dining hall) with a full tummy and ready for some relaxing sha’at menucha (rest hour) after our busy morning spent unpacking. After sha’at menucha we had a wonderful afternoon outside. One moment it was sunny, the next it was pouring rain with tremors of thunder to be heard in the distance. 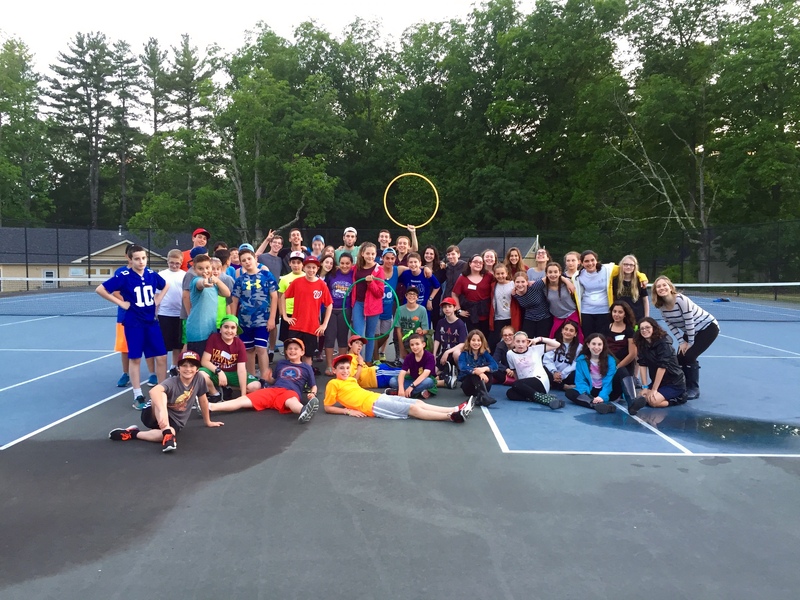 That could not damper our spirit nor our fun: all of us spent time playing outside and making the most out of our beautiful Camp Yavneh. While it rained we sat in our tzrifim and had our first bunks meetings. 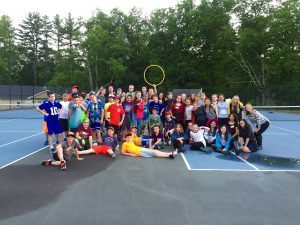 We learned more about each other and our schedule, and came up with bunk rules together so that we can create a safe, supportive, and enriching experience during our time together this kayitz (summer). We ate schnitzel for dinner and then had our first evening activity which was called “Erev Hula Hoop”. As you may have deduced we played all sorts of games having to do with hula hoops (while listening to the song called “Hula Hoop) and we all had a great time. Please check out the Yavneh website for some awesome pictures and tune back in next time for more updates on all of our good times here in Aydat K’firim!! !